Research is integral part of life at IAST. 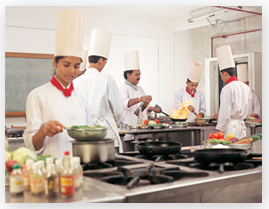 Faculties of hospitality as well as student are engaged in extensive research that has immediate utility for the fraternity. The work often manifests as books, journal and magazines available for the public. Institution organizes bridging programmes such as conventions, conferences and T&D to share the accumulated knowledge and wisdom with its members. Recently the institution has come out with a guide for budding entrepreneurs to equip them with essential data on states’ and Central’s tourism policies to enable them make informed business decisions. The guide “Vision of Indian Tourism” was released by honorable chief minister of West Bengal Mr. Buddha Deb Bhattacharya at 43rd FHRAI national convention. For students of hospitality the institution has developed well-researched books on FnB service, food production, hospitality law and more. These books are available in the market and surely will help every body pursing hospitality subjects. 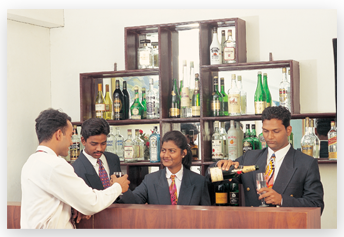 Human capital in hospitality industry – A manual.